With rich industry experience in this domain, we are occupied in supplying premium quality Moringa Seed. The offered seed is processed using sophisticated technology in adherence to global quality norms. Our quality experts test this seed as per set quality standards before offering to the customers. It is also called Moringapterygosperma or Drumstick. 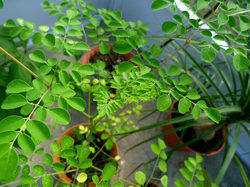 It is an herb that Moringa Seeds is very useful in controlling the pain and inflammation of the joints. Satva Industries Moringa Seeds, Pack Size: 25Kg and 1000 Kg. Pack Size: 25Kg, And Also Available In 50Kg,1000 Kg. Moringa Oilefera - Seeds available Both Planting Grade and Oil Grade. We are offering Moringa Dry Seeds to our clients. We are actively engaged in offering an extensive range of Moringa Oleifera Seeds for catering the diversified requirements of our clients. We are one of the well-distinguished companies in the market that are into offering Moringa Drumstick Seed. Moringa oleifera seeds are used for agricultural, food and industrial purposes. Specific varieties of Moringa Oleifera Seeds like PKM1 and PKM2 are used for plantation. The Industrial grade seeds are utilized in Oil Extraction and other related processing industries. 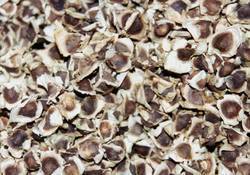 We are one of the best suppliers of moringa seeds in India. We offer the highly natural organic seed variety in our company. The seeds are mainly used for oil extraction. This oil is used for both cooking as well as for cosmetically industries. it contains all essential fatty acids in it. Moringa seeds are rich in Protein and Iron.